Fishing for shark off Long Island was and still is a popular sport. Here, seven men in two boats are attempting to haul in a shark they have caught. The red-shirted man in the stern holds a loop of rope at the ready in his right hand. Vermont-born Junius Brutus Stearns gained status early in his professional career with a series on George Washington. 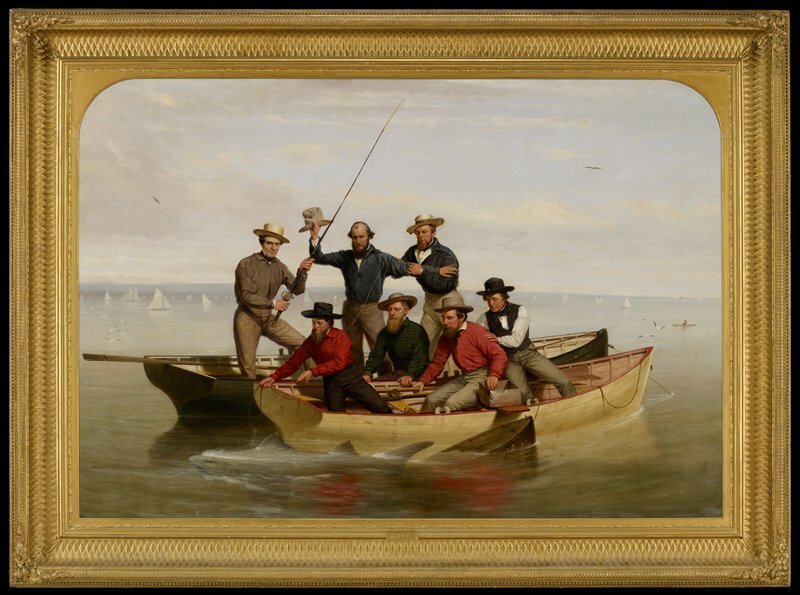 In the following decades, he turned to genre painting, creating scenes of everyday life that included domestic settings, multigenerational family portraits, and fishing expeditions like this one. Recent conservation of this frame was made possible by Al and Dena Naylor through the Art Champions (formerly Adopt-a-Painting) program.